LOCATION : Maidens Brush Rd. FUNDED BY : Central Coast Community Environmental Network (CCCEN). DURATION OF WORK : 3 weeks. (December 2000). the developed area enclosing the creek line. Many species of birds were seen including some rare walking birds. 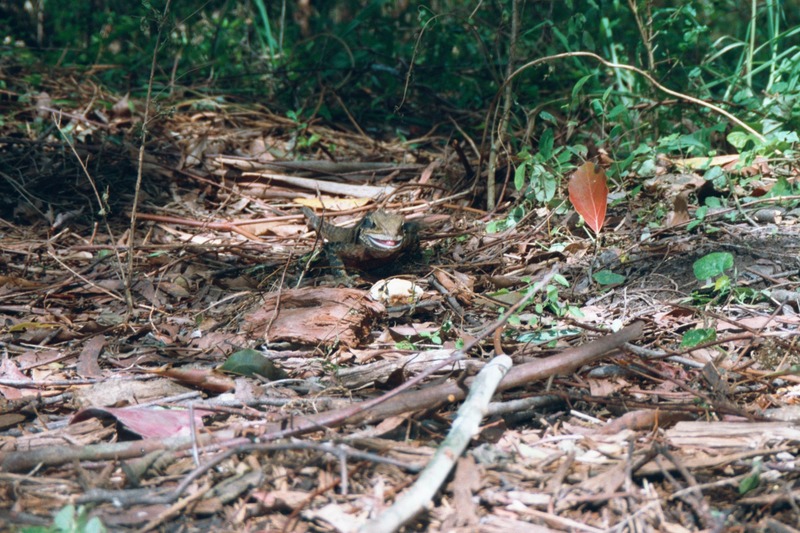 The area also had many lizards (below a photo of a water dragon). With the removal of exotic plant communities and the planting of native plant species the area will eventually become a haven for biodiversity. 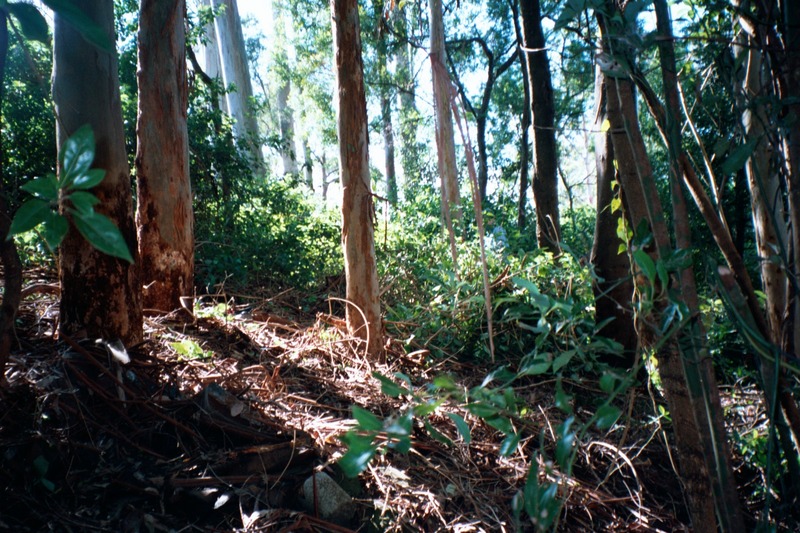 In the past the site has been neglected to a weed ridden state, so common with many bushland areas around the Central Coast, adding to its present bad condition the bushland has been used as an illegal tip for town houses surrounding the area, a disturbing amount of garbage was uncovered amongst the lantana. Recently the site has been regenerated to date by two Green Corps teams and monitored by environmental groups such as CCCEN and riparian vegetation commitees.